Over the last couple of years with the on set of social media, small fashion designers can get their designs to a bigger audience, more and more people are looking for something stylish but different, company’s like Johnny Cupcakes, Ark Angel Apparel, Aye Kandy Apparel only design and sell t-shirts and sweat shirts with amazing designs nothing else , so let’s have look at some of their designs and what’s made these company’s such a success. 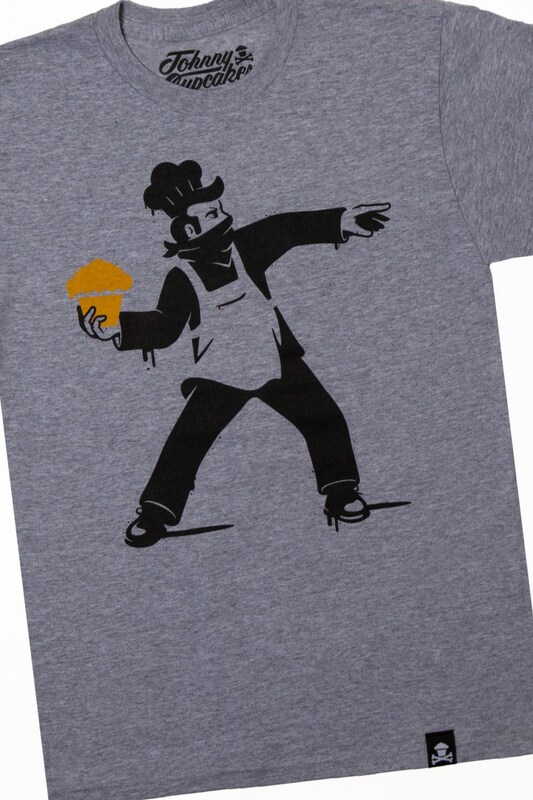 Johnny Cupcakes apparel was started by Johnny Earle, it uses cup cakes as the prominent design motif for all its designs, Johnny Cupcakes from when Johnny used to be called nick names by his work mate`s, they would come up with a different one every other week, soon they were calling him yes Johnny Cupcakes he liked the name, he was all so in a band and made t-shirts by screen printing for them, one day he was printing some t-shirts he made some with Johnny Cupcake’s on them, soon friends saw them and asked where he got them from, he soon was selling t-shirts to friends his designs caught on, he now has four stores in the U.S. and one in London. his key design’s mimic classic art pieces by mimicking them with cupcakes. 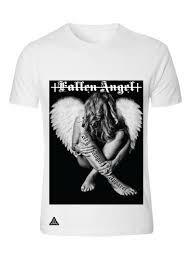 Ark Angel Apparel are designers and supplier of urban street ware with influences from religion and history with a modern twist, their unique clothing is both stunning and just amazing, they are from paisley in Scotland, they don’t yet have an online store but you can find them on twitter and Facebook, this is one label to keep an eye out for in the future, their style is inspired by old religious art with a modern twist, their prints are not just eye-catching but also very thought-provoking. 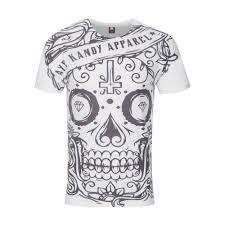 Aye Kandy Apparel is a street clothing apparel label from Glasgow, Scotland, their design is inspired by tattoo art very bold prints of skull mixed with paisley, black and white prints, creative Director Chris Paterson wanted to come up with some thing that rivalled, the likes of Primark style clothing and your big brands like Diesel and G Star, where you’re paying around £40 a t-shirt and offer some thing far better that was stylish but also very affordable. 2015 is the year for the printed t-shirt with such rich offerings now available you’re going to look amazing this summer.